To their surprise, the researchers discovered that many animals in the artificial sweetener groups—especially those that drank saccharin-sweetened water—developed a condition called glucose intolerance, which is characterized by high blood glucose levels and is an early warning sign of increased risk for developing type 2 diabetes. In contrast, the animals that drank sugar water remained healthy. The result was puzzling. These mice weren’t consuming natural sugars, so what was raising their blood glucose levels? The researchers had a hunch that the answer might lie in the gut microbiome—since those microbes play a vital role in digestion. Their suspicions were borne out. When they used DNA sequencing to analyze the artificial sweetener group’s gut microbiome, they found a distinctly different collection of microbes than in the animals who drank sugar water. The next step was to distinguish whether these changes in the microbiome resulted from high blood glucose, or caused it. When the researchers used antibiotics to wipe out the artificial sweetener group’s gut microbes, their blood glucose levels returned to normal—evidence that the gut microbes were actively causing glucose intolerance. Additional proof came from experiments in which the researchers transplanted microbes from both groups of mice into the intestines of a mouse strain that had been raised in a sterile environment from birth. The germ-free mice that received microbes from the artificial sweetener group developed glucose intolerance; those getting microbes from the sugar group did not. But what about humans? The research team, which included Eran Elinav, an immunologist, and Eran Segal, a computational biologist, examined clinical data from 400 people taking part in an ongoing nutrition study. That analysis showed that, compared to people who didn’t use artificial sweeteners, long-term users of artificial sweeteners tended to have higher blood glucose levels and other parameters often associated with metabolic diseases like diabetes, obesity, and fatty liver. Next, the researchers asked seven healthy human volunteers, who had never previously consumed foods or beverages containing artificial sweeteners, to consume the daily maximum dose of saccharin allowed by the U.S. Food and Drug Administration for six consecutive days. Of the seven volunteers, four developed glucose intolerance, while three maintained normal blood glucose regulation. The researchers then took intestinal microbes from human volunteers and transplanted them into germ-free mice. Microbes from humans with glucose intolerance also triggered glucose intolerance in the mice, while microbes from humans with normal blood glucose had no effect. Previous studies have associated changes in the gut microbiome with obesity and diabetes in humans [2, 3, 4]. But the latest findings, which still must be confirmed in larger studies and by other groups, advance our knowledge one step further by suggesting that artificial sweeteners may be one of what’s likely to be an array of factors with the power to shape such changes. Who knows what the next piece of that fascinating puzzle might be? Artificial sweeteners induce glucose intolerance by altering the gut microbiota. Suez J, Korem T, Zeevi D, Zilberman-Schapira G, Thaiss CA, Maza O, Israeli D, Zmora N, Gilad S, Weinberger A, Kuperman Y, Harmelin A, Kolodkin-Gal I, Shapiro H, Halpern Z, Segal E, Elinav E. Nature. 2014 Sep 17. Microbial ecology: human gut microbes associated with obesity. Ley RE, Turnbaugh PJ, Klein S, Gordon JI. Nature. 2006 Dec 21;444(7122):1022-3. A metagenome-wide association study of gut microbiota in type 2 diabetes. Qin J, Li Y, Cai Z, Li S, Zhu J, Zhang F, Liang S, Zhang W, Guan Y, Shen D, Peng Y, Zhang D, Jie Z, Wu W, Qin Y, Xue W, Li J, Han L, Lu D, Wu P, Dai Y, Sun X, Li Z, Tang A, Zhong S, Li X, Chen W, Xu R, Wang M, Feng Q, Gong M, Yu J, Zhang Y, Zhang M, Hansen T, Sanchez G, Raes J, Falony G, Okuda S, Almeida M, LeChatelier E, Renault P, Pons N, Batto JM, Zhang Z, Chen H, Yang R, Zheng W, Li S, Yang H, Wang J, Ehrlich SD, Nielsen R, Pedersen O, Kristiansen K, Wang J. Nature. 2012 Oct 4;490(7418):55-60. Gut metagenome in European women with normal, impaired and diabetic glucose control. Karlsson FH, Tremaroli V, Nookaew I, Bergström G, Behre CJ, Fagerberg B, Nielsen J, Bäckhed F. Nature. 2013 Jun 6;498(7452):99-103. To clarify, the “resistance” I am referring to is more correctly referred to as “INSULIN resistance” which I am assuming contributes at least in part to “GLUCOSE intolerance.” An understanding of exactly what happens to prevent normal uptake of glucose during insulin resistance may suggest possibilities for the mechanism(s) by which artificial sweeteners enhance glucose intolerance in a competitive scenario, preventing glucose uptake into cells from the bloodstream and leading to higher blood glucose levels. Mass action and/or steric hinderance may be factors by which artificial sweeteners prevent normal glucose uptake leading to the observed high blood glucose levels. The above paper reviews the effect of sucralose/Splenda on gut bacteria, endocrine hormones, and other biological factors. The latter work was performed while I was at Duke. I am now at North Carolina State University. I want to tell you what a true pleasure it is to work with Dr.
Kristina Rother who has a deep commitment to integrity in science and concern for public health. I DO NOT USE ARTIFICIAL SWEETENERS, BUT I DO DRINK FRUIT AND VEGETABLE JUICES IN MODERATION. FRESH RAW FRUIT AND VEGETABLES FORM A LARGE PART OF MY DAILY DIET. I DRINK EIGHT GLASSES OF FLUIDS DAILY. I DRINK FRUIT AND VEGETABLE JUICES, FAT-FREE MILK AND POTABLE WATER. I HARVEST RAIN WHICH I COLLECT IN PLASTIC TANKS. HOWEVER, I DO BOIL THE WATER AND FILTER IT TO REMOVE ROOF DUST. I DO NOT DRINK TAP WATER BECAUSE SOME MUNICIPALITIES ADD CHLORINE OR FLUORINE TO THE WATER TO KILL GERMS. THE RESULT IS THAT ONE DRINKS A POISONOUS SUBSTANCE AND DEAD AND DECAYING GERMS. … I AM 88 YEARS OF AGE AND I AM ONE OF THE STRONGEST PEOPLE IN THE WORLD IN THE AGE GROUP 80 AND OLDER. I AM A RETIRED SOUTH AFRICAN POLICE DETECTIVE SUPERINTENDENT. I AM CURRENTLY A HEALTH AND PEACE ACTIVIST. These findings surprised me. I thought artificial sweeteners didn’t have side effects. 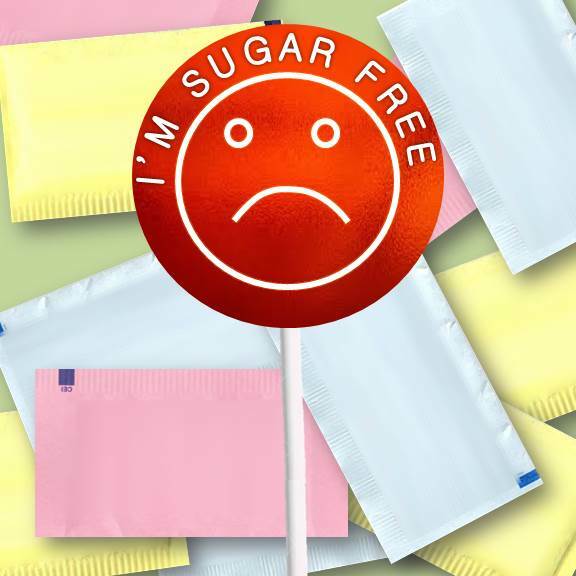 Is there any way to discover the side effects of calorie-free sweeteners? I am (was) a heavy user of Sweet & Low and have just recently been diagnosed with the start of Type 2 Diabetes. This is enough information for me. No more! Thank you for posting this study, it may have saved me from a serious disease.